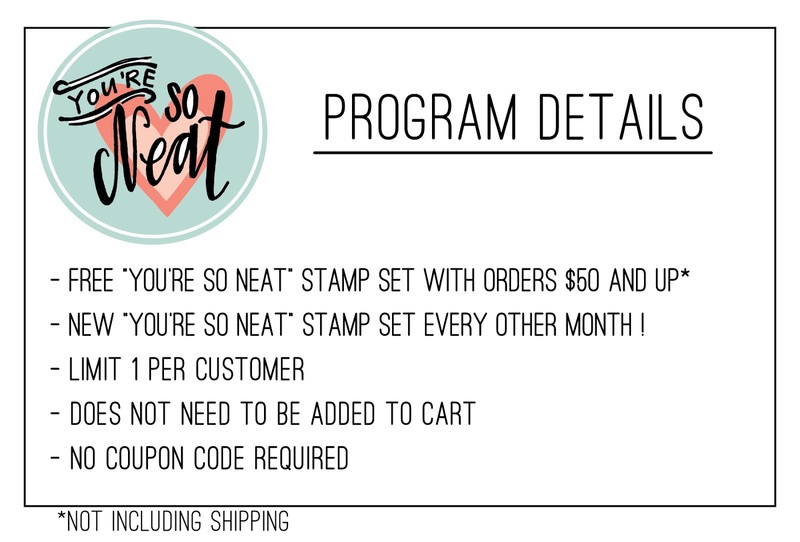 Today I am sharing with you our next You're So Neat Incentive program stamp set! I think you'll love it! For the months of May and June our incentive stamp set is Send Pretty Mail. This 3x4 stamp set will be included for FREE with all orders $50 and over for the months of May and June! No need to add it to your cart or enter a promotion code, it will be automatically included for qualifying orders! And here is your first look at the May/June set, Send Pretty Mail. 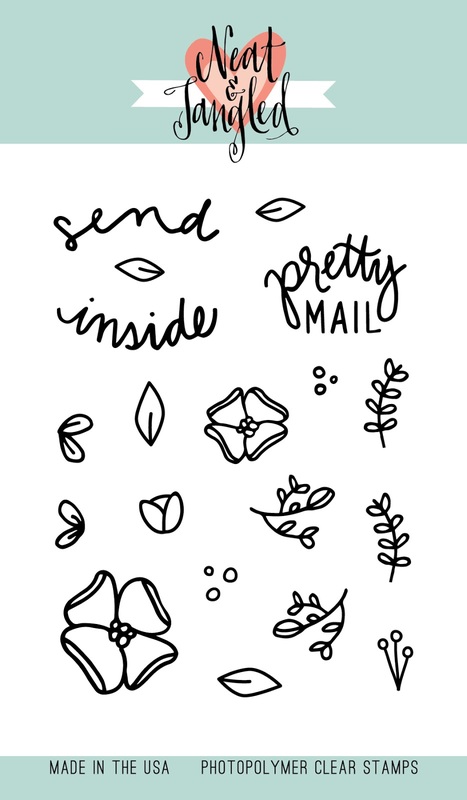 It is a 3x4 set with some great lettering, and fun fresh florals. Perfect for dressing up those envelopes! 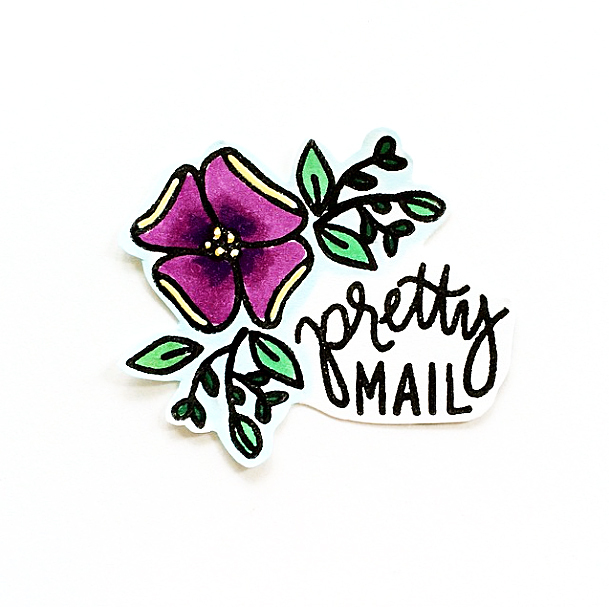 Send Pretty Mail will be available for purchase on May 8th at the end of our May release week! May release week will being Monday, May 4th! See you then!